One of the American validators visiting us a few days ago asked an obviously scripted question to our staff. She said “Are you satisfied with your remuneration here?” Silence. She waited. Then someone said “The Holy City has a premium.” I won’t say who it was. I’ve been thinking a little bit about money. Not about having enough personally, but the whole mechanism of charitable giving, who gives, why do they give and, I suppose, how much. 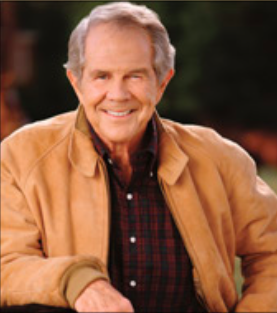 My TV package has quite an eclectic mix of different channels, including the ‘700 Club’, Pat Robertson’s live show in which guest spots and prayer requests are interspersed with encouraging messages to the naive, the hopeful, the credulous and the desperate to become a member of the Club and hand over wads of cash. I’m somewhat ashamed to have to admit to never having been tempted by such indulgences – the thought of giving to organisations where I can’t really see where the money goes must surely indicate a serious lack of trust on the one hand and a grudging, almost miserly lack of belief in the ‘windows of heaven’ promise on the other. After the earthquake in Pakistan in 2005, money was raised and instead of pouring it into some hastily-arranged communal pot, it was decided that it would be more efficient to hire a lorry ourselves, fill it with locally sourced materials and deliver it personally to the disaster site rather than go through channels where the probability of it being quite simply stolen was alarmingly high. Much as I’d so love to believe otherwise, people aren’t, on the whole, to be trusted with other people’s money. Entire states are run, and wars are fought with it. The Al Aqsa mosque has had scaffolding around it for years to give the impression that renovation work is being carried out. It isn’t. Nothing has been done for years in spite of faithful and quite large donations. The money has just disappeared. Similarly, what, I ask myself, has happened to all that US aid endlessly poured into Gaza? It isn’t being used to build schools and hospitals, that’s for sure. I wonder whose Swiss bank accounts are being quietly fattened, children educated privately in Europe and secluded properties acquired in out-of-the way places where the rich gather. 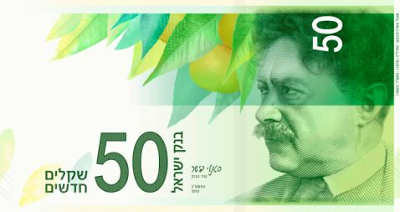 John Kerry wants to give four billion American dollars to reinvigorate the West Bank, which as a charitable gesture is unparalleled in its generosity – I do hope the American people are in agreement – it is their money, after all, but I can’t help but wonder how many cents on the dollar will the alleged recipients really be able to use after all the bribes have been paid. The UN has funded Palestinian textbooks calling for jihad and destruction of the State of Israel. Who’s checking, or is it simply that nobody actually cares how the money is spent? A recent Newsnight broadcast showed a short film in which a BBC reporter accompanied a British “aid convoy”, funded, it would seem, by UK Muslim charities and headed to the most dangerous parts of Syria. The Aid for Syria convoy, comprised of half a dozen ambulances, travelled over three thousand miles through Europe and Turkey before finally crossing the border into Syria, purportedly to deliver food, shelter and medical supplies. Accusations that aid convoys are linked to terrorism were not addressed in the film, although the sponsors had known links with terrorist organisations. One ambulance was stopped by counter-terrorism officers at Dover, under suspicion that its occupants were going to Syria to fight. It was also briefly noted, without explanation, that border police turned away one member of the convoy at the Greek-Turkish border. Perhaps all the medicines, blankets and warm fuzzies so kindly donated just somehow got switched for AK47’s and mortar rounds. 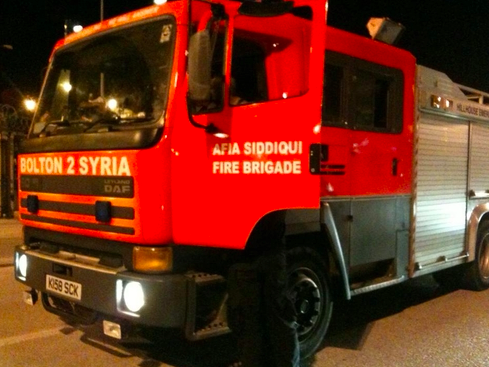 This Syrian-bound fire engine from Bradford bears the name of Dr Aafia Siddiqui, convicted of bomb-making and other terrorism-related activities, who is now serving an 86 year jail sentence in Fort Worth, Texas. The Taliban have attempted to bargain for her release with hostage exchange. I can’t help feeling that all that money raised is being used for quite different purposes than that for which the donors originally gave it. I might just keep mine in my pocket.